Oh gates lift high your heads, grow higher ancient doors; Let Him enter, the King of Glory. In spite of difficulties, perhaps partly because of them, these are exciting times in the Church. As priests we are working with the people and religious of the diocese towards the Assembly. But far beyond the Assembly we will continue to collaborate, developing strategies for a new evangelisation. The challenge is to build communities in which people can experience real Christian happiness. Far from being incompatible with the real sorrows of life, this happiness dwells and thrives in the holes dug in our hearts by suffering. And it is only if we dare to let ourselves be touched by the suffering of others that we shall have any real happiness to offer them. Contact with active and infectious hope can transform lives blighted by loneliness, worry and exhaustion. Contact may become communion. Real and positive encounters with living faith can and do change people for ever. And so we build Jerusalem. We come to Christ with our muddled lives, our loves and desires of every imaginable sort, our sin and our frequent failures. Neither the people we serve, nor we ourselves may be living the Gospel well. But we priests are charged with making the Church a place where human beings feel recognised in their deepest identity as citizens of a new civilisation. As such we can hardly expect to be trusted unless we are ourselves seen as trusting in the Mercy of God. And furthermore, we must allow ourselves to be seen genuinely needy of that mercy. We must be openly and honestly in communion with the rest of struggling humanity: struggling to pray, struggling to believe, failing morally and needing forgiveness. Only then can we be homemakers and builders of a truly loving society. In the light of this tremendous call to begin again and to build anew it is significant that we are so obviously, in these times, on a vast building site. You will be deeply aware of a new sense of fragmentation in our society and in families. The old order with its strengths and weaknesses has collapsed: many people seem to become nomads rather than pilgrims, wandering aimlessly rather than pressing forward towards a goal of hope. The pain of floating anchorless leads some young and not so young into drugs and even towards suicide. Behind the billboard confidence of modern western culture there is a genuine sense of absence and of loss. But that very barrenness, paradoxically, is fruitful. Inspired by this haunting sense of inadequacy people have started to search again for answers that go beyond the technical, beyond, that is, what can be fixed on the road. Some expert commentators are quite embarrassed by this. How do we respond to it? Well, for a start, we need as priests to pause here and take our own spiritual temperature. To be able to discern the new situation around us, we need to listen to some of the currents within us. They may provoke pain or confusion but than in itself may be a good thing. We have recently been well prepared for ministry to a work in progress.  The tragic events that have lately arisen in the Irish Church have engendered an honest spirit of mourning and repentance. The gates which were shut have been torn open. At least now, however, He can get in. Demolition is a grim business but often an indispensable precondition of building something new. We might learn from the Psalmist in this respect. It is interesting that one third of the Psalms are prayers of lament or lostness or exile. Deprived of our carefully constructed shelters, our temporary realities, we are exposed to true reality. One often meets God more easily in a demolition zone. So this is our Babylonian exile, our desert experience, our Holy Saturday. Remember this: for all its poverty and deprivation, its sense of Godlessness and God-forsakenness, the exile of Israel was the time when hope was rekindled. We must remember this now in the desert and not tragically starve for want of the survival skills we forgot in time of plenty. We must learn these again quickly. Meantime the classic temptations will, of course make themselves known. All the usual spiritual and psychological suspects. Hope replaced by fear can end in paralysis and despair. Alternatively, aggression may dominate and colour communication; a form of nostalgia peppered with anger, lamenting a world that has disappeared. Yet again apathy, a kind of world weariness, may emerge; what is the point of trying if it will not make any difference? While these reactions may be understandable and inevitable they are barren waste compared to the life and growth that characterises the Kingdom of God. Surely these emotions of fear, anger and apathy were present in that upper room when Eucharist and priesthood were instituted. As priests we are called upon to resist these temptations of fear, anger and apathy, and are challenged to read the world around us with the compassion of Christ. As priests too we are called to be creators of community in a world where people find themselves without companions or supportive groups. We must invite people to a true citizenship, to a nourishing experience of community this will help to address the isolation of surface living that inflicts many today. It may be no coincidence that we have received our humbling just now, at this particular juncture. He may be calling us to this work more forcefully than we might wish. If we are in tune with the spiritual search today we may be able to initiate people into a deeper journey of reflection, prayerfulness and interiority. As priests, the disciples of the crucified Messiah, we are called to serve and invite others to a generous service of the wounded of the world. In this way the doors of human compassion are flung open and these in turn open the heart to the core of the gospel. If we allow and encourage this to happen then the present experience of exile will prove to be a rediscovery of hope. Where there is genuine community, evangelisation has already begun. Where Kindness and humane conduct predominate, the Kingdom has already emerged. This is our hope for the Diocesan Assembly. This is our challenge as priests at this time. As we renew our priestly promises we open with the Psalmist our hearts and minds to promise and new beginning: Oh gates lift high your heads; grow higher ancient doors; let Him enter, the King of Glory.